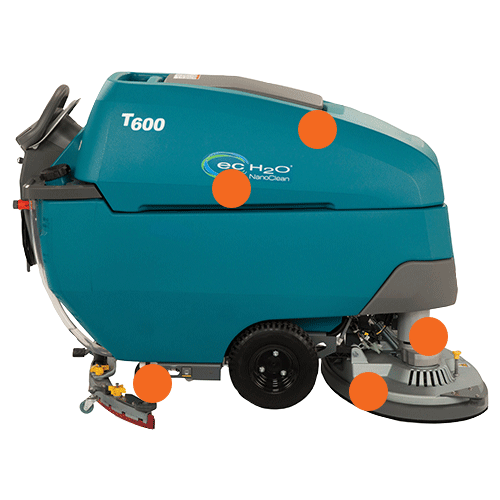 Delivering cleaning performance you can count on day in and day out with a durable design and a suite of productivity-boosting features. Scrub longer between empty and fill cycles with large-capacity 121 L solution tank and 140 L recovery tank. Maximize battery life with the optional Smart-Fill™ automatic battery watering system. 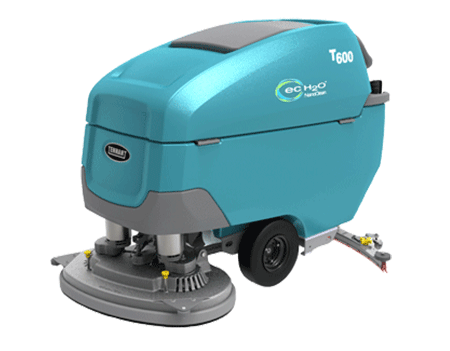 Get optimal cleaning performance from your T600 / T600e with TennantTrue® parts that have been designed specifically to help maximize cleaning effectiveness in one pass and achieve better cleaning performance at a total lower cost. 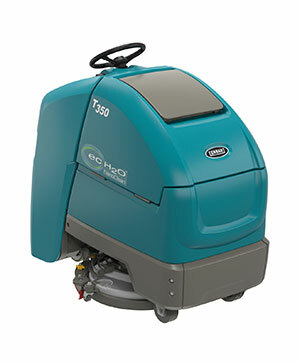 Tennant offers a variety of floor scrubbing pads that are used in a wide range of floor cleaning applications including stripping, scrubbing, cleaning and polishing. 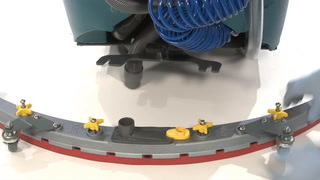 The squeegee is one of the most critical parts on your T600 / T600e scrubber. Only genuine TennantTrue® squeegees are designed specifically to fit with your T600 / T600e machine to deliver exceptional liquid collection and pick-up for optimal cleaning performance. The correct fit helps reduce downtime and service calls, lowers labor costs and puts money back into your business. 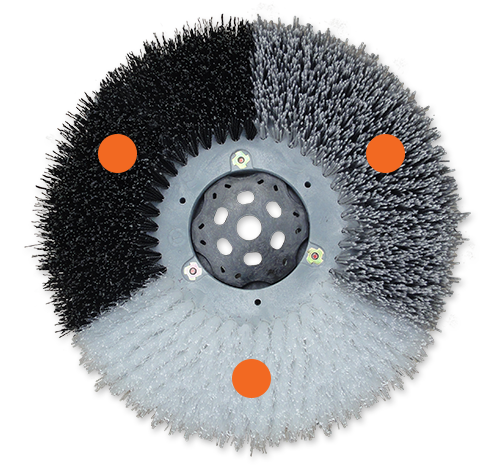 Achieve better performance while lowering costs associated with rework, labor, safety and maintenance by using genuine TennantTrue® brushes, specifically designed for your T600 / T600e machine. Don’t settle for less - choose TennantTrue® brushes! Floor Care from Tennant provides smoother, brighter floors that improve light reflectivity and enhance the image of your facility. Optimal performance for your T300 depends on Planned Maintenance. Rely on Tennant’s factory-trained service network for unmatched knowledge and expertise to maintain your machine and keep downtime to a minimum. ​​Protect the health and safety of your operators, guests and the environment with innovative features and ergonomic design. Enhance operator comfort and control with ergonomic design and easy-to-use machine controls including a variable speed bail. Reduce handling of daily cleaning detergents with optional ec-H2O NanoClean® technology. Make battery maintenance safer with Smart-Fill™ automatic battery watering system that removes the task of checking, opening, and filling wet batteries. Minimize the risk of slip-and-fall accidents with the optimized water recovery system. Deliver consistent cleaning results and maintain the cleanliness and appearance of your floor even in the toughest environments. Achieve a consistent clean with optimal water recovery that minimizes streaks and maximizes soil removal. Improve water pick-up and virtually eliminate water drips after cleaning with redesigned squeegee and integrated P-trap. Take the guesswork out of cleaning and ensure consistent performance with operator lock-out, on-demand tutorial videos and Zone Settings™ with customizable labels and language settings using Pro-Panel® LCD touch screen technology. Available on T600 only. Clean tougher soils like heavy oils by dispensing detergent on demand with ec-H2O NanoClean® equipped with the optional Severe Environment™ switch. Available on T600 only. 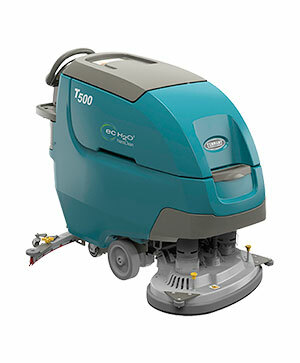 ​​Ensure consistent cleaning results and reduce maintenance time with an easy-to-operate and maintain scrubber-dryer. Reduce training and simplify operation with intuitive controls and optional Pro-Panel® LCD touch screen technology. Available on T600 only. Increase ease of filling the scrubber-dryer with auto-fill. Standard on T600 and optional on T600e. Simplify preventative maintenance with easy-to-identify yellow maintenance touch points. Easily clean out the recovery tank with the optional on-board spray nozzle and hose. Available on T600 only. Quickly identify when disk brushes need replacement with the built-in yellow brush wear indicator. Maximize battery lifetime with the exclusive patent-pending Smart-Fill™ technology, an optional on-board automatic battery watering system. 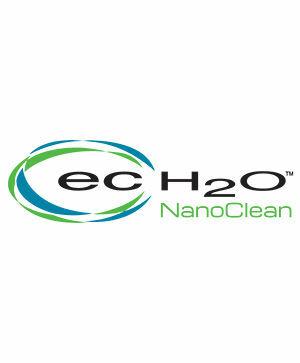 Save money and significantly reduce labor costs with optional ec-H2O NanoClean® technology that eliminates detergents purchasing, storing, handling and mixing. 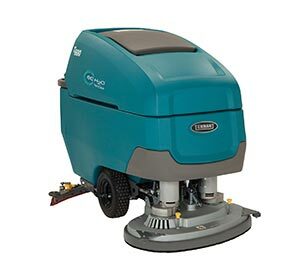 Clean virtually any hard surface condition and maximize your return on investment with a wide range of cleaning heads, including a 700mm orbital option. Take advantage of large-capacity solution and recovery tanks to clean effectively with fewer dump-fill cycles. Help reduce costly breakdowns and simplify training and preventative daily maintenance with yellow touch points on common maintenance areas.